Laminated player passes are required at all games. Do not expect to play without player passes for every player on your team. Each player must have a picture on their player pass. The parent will need to upload a player picture into the player account, this needs to be done 2 weeks prior to first game of the season as rosters will then be frozen. Simply have the photo ready for upload in your computer. Log into the player account. Click on UPLOAD YOUR PHOTO. Specify the file and click UPLOAD IMAGE. Picture should be a head shot photo (ie: driver’s license or passport style picture) of the player. No sunglasses, hats or other persons in the picture. The BASC office will print player passes for coaches; however please note, player pictures must be uploaded 2 weeks prior to first game of season in order for a picture to print on the player pass. **Remember, a player cannot play in a game without their laminated player pass which must include a picture or it is NOT a legal pass. Coaches will be notified via email when the player passes are printed and ready to pick up at the BASC office. 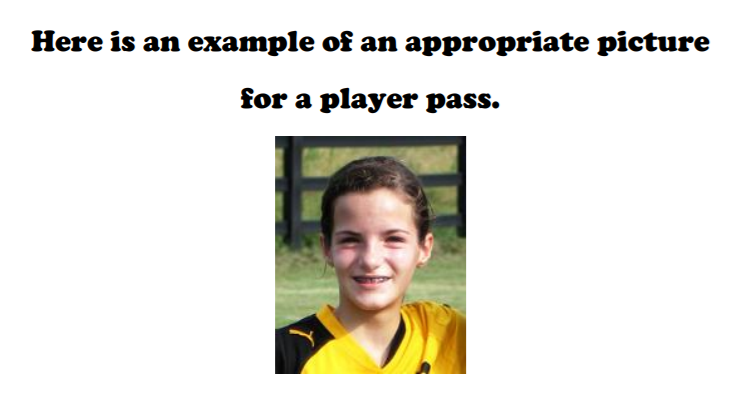 It is required that player passes must be laminated. Coaches or Team Managers are welcome to use the BASC office laminator or you may go to a copy facility like Kinko’s and have your team player passes laminated there. 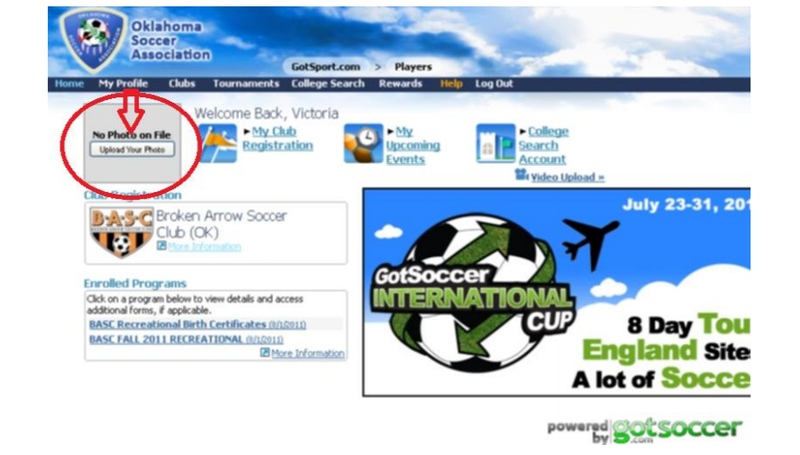 To add a picture to your player account, go to www.gotsoccer.com and log into the “Player Account”. Click as shown in the picture below, “Upload Your Photo”.